The 2018 Kentucky Health Issues Poll (KHIP) asked Kentucky adults whether they favored or opposed two tobacco control policies: a statewide smoke-free law and raising the minimum legal age to purchase tobacco products from 18 to 21. KHIP is sponsored jointly by Interact for Health and the Foundation for a Healthy Kentucky. KHIP asked, “Would you favor or oppose a statewide law in Kentucky that would prohibit smoking in public places, including workplaces, public buildings, offices, restaurants and bars?” About 7 in 10 Kentucky adults (66%) responded that they would favor this policy. Support for a statewide smoke-free law has remained about the same since 2013. Seventy-five percent of Kentucky adults who have never smoked cigarettes support a statewide smoke-free law. This is higher than support among Kentucky adults who are former smokers (67%). Nearly half of current smokers in Kentucky (46%) support a statewide smoke-free law. A majority of Kentucky adults favor a statewide smoke-free law regardless of political party. Kentucky Democrats (77%) were most likely to favor a statewide smoke-free law, followed by Republicans (62%) and Independents (55%). KHIP also asked, “Do you favor or oppose increasing the minimum legal age to purchase tobacco products from 18 years of age to 21 years of age?” Six in 10 Kentucky adults (56%) reported they would favor this policy. Support for this policy has not changed since 2015 when KHIP began asking this question. Majorities of Kentucky Democrats (61%), Republicans (55%) and Independents (52%) were in favor of raising the minimum legal age to purchase tobacco products. 1. Centers for Disease Control and Prevention. (2018). 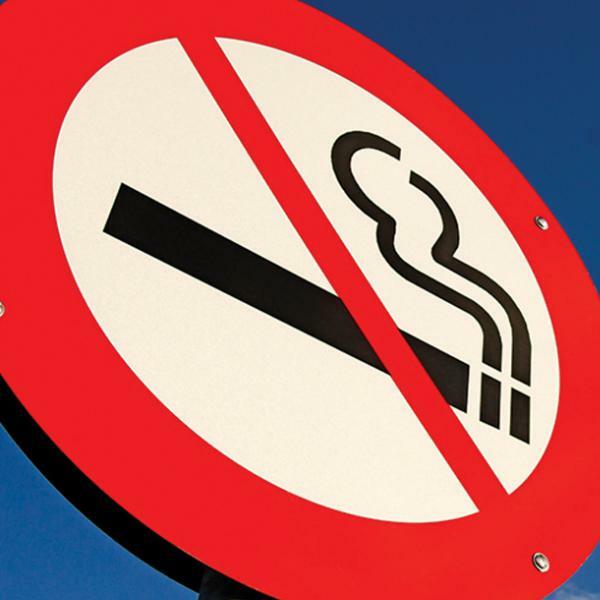 Smokefree Policies Reduce Smoking. Retrieved from https://bit.ly/2i0ubKD. 2. Centers for Disease Control and Prevention. (2018). Health Effects of Secondhand Smoke. Retrieved from https://bit.ly/2seDmrA. 3, Arizona, California, Colorado, Connecticut, Delaware, Hawaii, Illinois, Iowa, Kansas, Maine, Maryland, Massachusetts, Michigan, Minnesota, Montana, Nebraska, New Jersey, New Mexico, New York, North Dakota, Ohio, Oregon, Rhode Island, South Dakota, Utah, Vermont, Washington and Wisconsin. 4. American Lung Association. (2018). Smokefree Air Laws. Retrieved from https://bit.ly/2VQBunc.